The online watersports shop owned and run by Shore Play in Herne Bay, Kent. We offer a comprehensive selection of wakeboards, waterski's, kneeboards, drysuits, wetsuits, floatation devices, lifejackets etc. We are expanding our range all the time and we are not only going into chandlery in a bigger way. 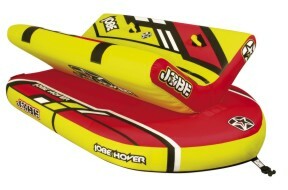 We stock a large range of brands including: Jobe, J Star, Typhoon, Tusa, Plastimo, Wetline and many more. Our latest range additions are CRS wetsuits, Yak and Crewsaver. We are also extending our scuba diving range . We stock skateboarding equipment which in turn might encourage youngsters into wakeboarding. Come and join us as we will have something for most of the family. On offer in our Sales, Clearance and Special Offers section some items have over 50% off!! Click here for more. Grab an end of season bargain and start getting ready for Christmas or a head start on next year buy it here at a fraction of the cost but hurry stock is limited on most items. You'll find wakeboards, inflatable's for behind the boat or jetski, waterskis, wakeboards, wetsuits, drysuits and much more at reduced prices.